Click here to get your FREE Orthodontic Report! Why would you need SEO for orthodontists when you get 90% of your business from referring dentists and parents? That is a great question, and on this page, my goal is to show you why you should give it some serious thought if you’re at a stage of growing your orthodontic practice. Or, maybe you have a 5-year exit strategy, and want to build it up to as big as you can, to get a nice-sized nest egg for you and your family to retire comfortably, and with no worries. What I find most exciting about the orthodontic niche in dentistry is what us marketing professionals refer to as the “transaction value”. That is…what does each new orthodontic patient worth to you? We know there are different treatments most orthodontists offer, that can vary the revenues quite a bit. For example, you may offer Invisalign, traditional braces, or maybe even short-term braces! Each of these bring in different revenues, but to simplify this, we can safely say, your transaction value can be on the average around $5,000 per new patient. That is an exciting number to wrap your hands around if you can understand that ranking near the top of page 1 in google can bring you 5-10 or more new patients per month, depending on the size of your city, and of course search volume. 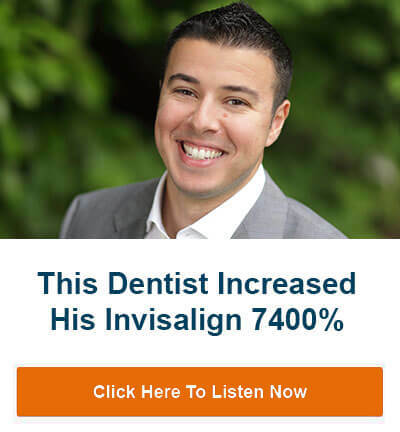 That is an additional $25,000-$50,000 in revenue EVERY MONTH to your practice! This is why SEO for Orthodontists is an exciting marketing strategy for your practice! I want you to get in the mind of your prospective patient. One demographic is adults who may not have a regular dentist, but are at a point in their life to want a better smile. They are going to get on their computer (or phone) and search for an orthodontist in their area, using phrases like “adult braces Houston”; that’s if they live in Houston. Wouldn’t you like to have this person call your practice to get braces (or Invisalign) from you, and not your competitor next door? Adults are motivated! And…they have discretionary income to spend… to make a fast decision, if they like what they read, and have a good consult with you. As we both know, adults would favor Invisalign, as it is less embarrassing to them in social situations. The beauty of search engine optimization for an orthodontist is that you will positioned as “the authority” in your area… via the content on your website, that is helping you achieve those top rankings. Unfortunately, for the majority of orthodontic websites I analyze, the content is “canned”. What I mean is a dental marketing company has used the same content on all of their clients websites, so you have what we call duplicate content all over your website. 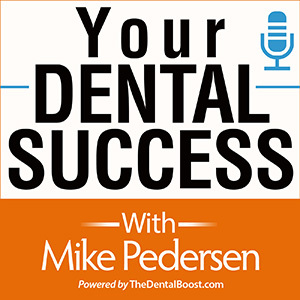 Do you want to sound like all of your competitors, or do you want to set your practice apart with the best, most valuable content you can offer, to help people make an informed decision to go with you as their orthodontist, and not one of your competitors? This is where SEO gets fun. I am a huge believer in content marketing. Getting a professional writer (we have one of the best 😉 ), who specializes in dental (and orthodontics), to produce content on all subject matter related to orthodontics is the first step to showing google you have a website worthy of dominating their search engine for many search terms. Consider the above demographic of adults. They will want to research their options before they make a decision. They will not throw away good money by making a hasty decision. So…the more questions you can answer for them on your website, they closer you are to them picking up the phone and scheduling a consult with you. Google’s goal has always been to serve the best webpages to the visitor. 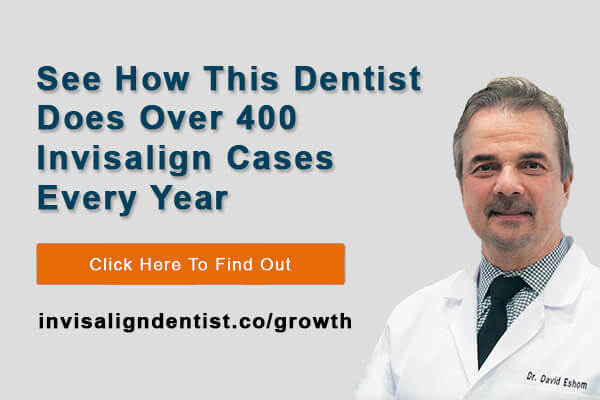 As time has gone on, google has performed many updates that have weeded out all the poor websites, and is ranking the ones with premium content about that specific top (ie Invisalign). Some of the requirements is longer copy. After analyzing hundreds of dental and orthodontic websites, the average service page has 400-500 words of content. Google is now looking for 1,000-2,000 words per page for authority service pages like Invisalign, teen braces, adult braces, etc. They also want to see 3-5 relevant images to support the content. The images can’t be seen by google, but by optimizing the images, google will know you have them on the page. Google can also tell fluff from value, so this content has to be of high value. The easiest way to look at it is to answer all the questions the visitor might have pertaining to that service, for example Invisalign. The more detail you cover, the better the chances of ranking higher for those pages, which will bring your practice new patients worth $5,000 or more apiece! Google calls it keywords and keyword phrases, in dental SEO we call it services, treatments and even procedures. There are hundreds of opportunities for you to get search volume if you do the correct research. And we do that research for you. We’ll dig deep into our toolset to find hidden jems that can get you more orthodontic patients. What we see all the time, is an orthodontic website that is what we call weak on content. As mentioned earlier, google is ranking sites based on quality content, and depth of content. You cannot throw up a 400 word Invisalign or Traditional Braces page and hope it will rank in google. That is the wrong approach to search engine optimization to improve your google rankings for your orthodontist office. Finding these orthodontic keywords and creating new content on a regular basis with our team of dental writers will increase your website traffic tenfold in a matter of a few months. This increase in traffic also means an increase in inquiries and ultimately new patients to your practice. This is the 6 million dollar question. And one that as an orthodontist you don’t have the time to find out. You hire experts like our SEO firm to take it off your hands. You do your job and create beautiful smiles. And let us do ours, and get your phone ringing. There are many ranking factors in google, and that’s what makes SEO for Orthodontists fun and challenging. But very, very rewarding in regards to additional revenues and ROI. You will never hear an SEO firm state fees on their site, and I’m about to give you some ballparks. It all depends on the size of the city your orthodontic practice is in, and how competitive it is. Meaning how many other orthodontists are competing for the top 3 spots in google. But a simple baseline is for a smaller city of say 50,000, the investment is approximately $1,000 per month. As the population goes up, so do the SEO fees as it takes more work to achieve those coveted top rankings. So for a city of say 150,000 or more, it could be anywhere around $2,000-$3500 per month. But the search volume due to the bigger city will be greater, therefore the opportunity for more patients is much higher. And talking about ROI. Just one new patient a month…even at the high end of the SEO fees, you are nearly in the profit. So do you think the investment in Orthodontic SEO is worth it? I would say so.